The office opened some time before 1961. On April 2, 1961, Alpharetta was added to the Atlanta metro calling area. The initial code was 475 and the equipment was Step-by-Step. To Alpharetta 475 numbers and possibly Roswell 993 numbers, you dialed 7 digits. To call all other Metro Atlanta numbers, you dialed "8" plus the number. Some time prior to December 1976, the office was replaced with a No. 2 ESS machine. This was most likely much earlier than 1976. The No. 2 was introduced around 1969. The No. 2 ESS machine was replaced with a 5-ESS machine some time before 1997. The office opened some time before 1961. On October 14, 1964, Buford was added to the Atlanta metro calling area. At that time, the prefix was 945 and the equipment was Step-by-Step. To call Buford 945 numbers and Lawrenceville 963 numbers, you dialed the 7 digit number. To call other Atlanta Metro numbers, you dialed "8" before the number. The step-by-step equipment was replaced in 1984 with a No. 5 ESS digital machine. This was Southern Bell's first No. 5 ESS. In 1946, according to the directory, the Chamblee office had 4 digit numbers 2xxx, 3xxx, 4xxx and 3 digit numbers 5xx. Since there were no party letters, it was most likely a Step-by-Step dial office. Atlanta was a long distance call. In December of 1950, Chamblee and Clarkston became the first two Extended Area Service (EAS) offices in the Atlanta Metro area. Telephone numbers in both offices were changed to 4 digits using different thousands groups to differentiate the two. Atlanta customers could now call Chamblee or Clarkston by dialing "21" plus the 4 digit number. Chamblee customers dialed 4 digits to call within Chamblee. To call Atlanta, it was necessary to dial "8", plus the 6-digit Atlanta number. At this point, Chamblee numbers in use were 2xxx, 3xxx, 4xxx, and 9xxx. In 1952, Chamblee numbers were changed to 5 digits by adding a "7" in front of the old number. Dialing instructions for Atlanta were changed. Atlanta customers now dialed "4" plus the 5-digit Chamblee number. To call within Chamblee, customers dialed the 5-digit number. To call Atlanta, a prefix of "8" was still required. The party line ringback number was 1191. In 1957, a change of dialtone and busy signals was noted in the newspaper. This probably indicated a replacement of the tone plant in the office. The old plant might have been the CDO-type. The new one was the larger "city" type tone plant. The same year, telephone numbers were changed to 7-digits, by prefixing the office name "Glendale" and creating "Glendale-7". Atlanta customers no longer required a prefix to dial outer offices since everything was 7 digits. But Chamblee customers still required an "8" to reach Atlanta. By 1963, office names had been dropped. The original code was now 457 and a new code 451 was added. In 1965, 800 customers were moved to the Tucker office. The dialing instructions were quite complicated. The selector arrangement would have made it difficult to add additional codes. This caused Southern Bell to add Common Control equipment to the office, which entered service in 1967. With "Common Control Step-by-Step", a Sender registered the customer's dialed digits and via a Translator, converted them to a sequence of digits to outpulse. The outpulsing could be dial-pulse to drive the step-by-step selector switches or multi-frequency signaling into crossbar central offices and tandem switches. So, starting in 1967, the customer only had to dial 7 digits for all local calls. The senders could dial the above access codes automatically and, after conversion, Southern Bell was free to change the access codes at any time and only the senders and translators needed to be aware of the change. This enabled them to add direct routes to nearby offices, including the neighboring Atlanta offices (633, 634, 636, 233, 237, 261, 266). Common Control also made Touch-Tone service available. The use of Common Control Step-by-Step was very uncommon in The Bell System. It is possible that Southern Bell used Chamblee as a pilot project to see if Common Control was a good idea. It appears that the answer was "no", since they did not install it anyplace else. It would have been the most useful in the large Step-by-Step offices in Marietta and Smyrna, which also had complicated dialing procedures. In fact, it would have eliminated the need for the "kludge" that they used with the Marietta crossbar office. In 1969, the 458 code was added. Then in 1970, 455 was added primarily to provide Centrex service. In 1973, a No. 1 ESS machine was installed. The machine initially took over the 455 code. In March of 1977, all pay phones had been changed to 455 numbers on the ESS machine. In March of 1977, all pay phones had been moved to the 455 ESS. In 1980 all customers were moved to the ESS machine and the Step-by-Step equipment was retired. Some time before 1999, the office was replaced with No. 5 ESS equipment. This office no longer exists. It was closed in 1973 when the Indian Creek Office took over serving this area. The office may have originally opened as a manual office. In 1946, Clarkston was a dial office using Step-by-Step equipment. Telephone numbers were 4 digits and Atlanta was a long distance call. In 1950, Chamblee and Clarkston became the first two Extended Area Service (EAS) offices for Atlanta. Dialing instructions for Atlanta customers were to dial "21" plus the 4-digit Clarkston or Chamblee number. This must have led to a rather odd dialing arrangement. Each of the two offices used 4 digit numbers. Clarkston numbers were 5xxx and 6xxx. Chamblee numbers were 2xxx, 3xxx, 4xxx, and 9xxx. This meant that the thousands digit could not be used to select the office. So most likely, dialing "21" in Atlanta selected a trunk to Chamblee where the call was switched out to Clarkston if the thousands digit was "5" or "6". This would have require two separate Chamblee-to-Clarkston trunk groups for the two different thousands groups and would have been a less-than-ideal system. If the call were switched to the correct office directly from Downtown Atlanta, the situation would have been even worse. The Downtown office would have had to have a separate trunk group for each thousands digit in both offices, for a total of 6 trunk groups. In any case, at this point, Clarkston customers dialed "8" to reach Atlanta. In 1952, the dialing pattern was changed. Telephone numbers in both Clarkston and Chamblee were changed to 5-digits. A "3" was added to the front of Clarkston numbers and a "7" was added to the front of Chamblee numbers. At the same time, Smyrna was added to the calling area. It's numbers were 5-digits starting with "5". To call Clarkston, Chamblee or Smyrna, Atlanta customers now dialed "4" plus the 5-digit number. In Atlanta offices, this was probably handled by having the initial "4" switch the call to the Downtown office where the next digit 3, 5, or 7 selected the correct trunk to Clarkston, Smyrna or Chamblee. Clarkston continued to dial "8" to reach Atlanta numbers as before. In 1955, to call Stone Mountain from Clarkston, you dialed "9" plus the 4-digit number. The party line ringback number was 212. In 1957 telephone numbers in the Atlanta extended area were increased to 7 digits to match the Atlanta Exchange. The Clarkston office was given the name "Hickory-3" Atlanta customers no longer required a prefix to dial Clarkston or any of the other extended area offices. But the choice of office names in these offices resulted in a "4" being dialed as the first digit, so the routing didn't change. Clarkston still required an "8" to reach Atlanta. In 1960, office names were eliminated and Clarkston numbers were 443. In November 1973, all Clarkson telephones were transferred to the Indian Creek ESS office. Customers received new 296 numbers but kept the same last 4 digits. The Clarkston office was closed. The Conyers office was opened around 1961 as a step-by-step Community Dial Office. The first prefix was 483. Local calling was permitted to Lithonia 482 numbers and Covington 786 numbers. On April 2, 1961, Conyers was added to the Atlanta metro calling area. Conyers customers dialed "5" plus the Atlanta number. In 1968, the step-by-step equipment was replaced with No. 5 Crossbar. The dialing of the “5” prefix was eliminated. In 1976, the 922 prefix was added. This prefix was odd. You would have expected another 48X code to be used. This was very likely due to either a lack of an unused 48X code in the 404 area at the time or because of selectors in the nearby Lithonia office. Lithonia was a step-by-step, having the code “482” with direct trunking to Conyers “483” numbers. Adding another 48X code might have required a lot of reworking of the selectors. The 929 code was added in 1981. The Duluth office opened some time prior to 1958 with Step-by-Step equipment and would have probably had 4 digit dialing. On March 9, 1958, the office was assigned the name "GReenleaf-6" and given 7 digit dialing. Then on October 2, 1960, Duluth was added to the Atlanta metro calling area. The assignment of the office name in 1958 was strange because it would not have been needed prior to becoming part of the metro Atlanta calling area in 1960. And in 1960, names were being dropped in favor of numbers only. In 1960, to call Duluth 476, Norcross 44, Chamblee 45, or Buford 945 numbers, you dialed the 7 digit number. To call all other metro numbers, you dialed "8" plus the number. In 1980, the step-by-step equipment was replaced with a No. 1A ESS machine. Some time in the early 1990s, the equipment was replaced with No. 5 ESS. Prior to the opening of this office, most of the customers in this area were served out of the Chamblee office. Some additional customers would have been served out of the Sandy Springs office and possibly the Alpharetta and Norcross offices. Around 1973 the office opened. The equipment was No. 5 Crossbar and the initial code was 394. It was unusual that this office would have been a No. 5 Crossbar. ESS equipment was the equipment of choice at this point. There was apparently a shortage of ESS equipment and since the Western Electric plant that produced crossbar was still operating, some crossbar offices were still being installed. The crossbar office had an electronic sounding tone plant with ringing and busy tones similar to ESS. Around February of 1980, the crossbar equipment was replaced with No. 1A ESS. Soon after this, the 391 and 393 codes were added. Then some time before 199, the 1A-ESS machine was replaced with a digital switching machine. The Lawrenceville office opened some time prior to 1961. The equipment was Step-by-Step. On October 14, 1964, Lawrenceville was added to the Atlanta metro calling area. At this point the office code was "963". It could have been assigned that code and converted to 7-digit dialing on this date or before. To call Lawrenceville 963 numbers and Buford 945 numbers, you dialed the 7 digit number. To call all other Metro Atlanta numbers, you dialed "8" before the number. Some time prior to 1976, the step-by-step equipment was replaced with No. 1 ESS equipment and the 962 prefix was added. Around 1968, the Lilburn office opened. The equipment was No. 5 Crossbar and the initial code was 923. Like the Dunwoody office in 1973, this was a late No. 5 Crossbar office that could have been an ESS office. The office had an electronic tone plant with an ESS-like ring and busy signal. The 921 code was added some time before 1976. Then in 1982, the crossbar equipment was replaced with No. 1A ESS equipment. The Lithonia dial office opened some time prior to 1960. The equipment was Step-by-Step and telephone numbers were 4 digits. The original building was one of the few buildings not owned by Southern Bell. It was leased. The Lithonia Step-by-Step office was equipped for 10-party service using "terminal per line" type connectors in at least one thousands group. This meant that, in these thousands groups, the next-to-last digit selected the actual telephone line and the last digit set the type of ringing. On October 2, 1960, Lithonia was added to the Atlanta metro calling area. Telephone numbers were changed to 7-digits using the code 482. To call Lithonia 482 numbers, Conyers 483 and 922 numbers, and Stone Mountain 469 numbers, dial the 7 digit number. To call all other Atlanta metro area numbers, dial "8" before the number. In 1977, these calls were being routed via the Decatur Crossbar Tandem. In 1978, a new building was constructed to house new ESS switching equipment and the step-by-step equipment was removed from service. In 1997, the office is DMS-100. Codes are 482 and 484. 1966 [-stepbystep]Some time prior to 1966, the office opened. The first prefix was 466. 1966 Loganville was added to the Atlanta metro calling area in 1966. TO CALL Loganville 466 numbers or Lawrenceville 963 numbers ….. dial the 7 digit number. TO CALL all other Atlanta metro area numbers ….. dial "8" before the number. 1988 Some time between 1985 and 1988, the step-by-step equipment was replaced with modern digital switching equipment. At that time, the "8" prefix for metro calling would have been discontinued. This office may have existed prior to 1951 as a manual office. In 1951, the Norcross dial office opened with Step-by-Step equipment and 4-digit dialing. On October 2, 1960, Norcross was added to the Atlanta metro calling area and numbers were changed to 7 digit "448" numbers. To call Atlanta, Norcross customers dialed "8" plus the number. On June 29th, 1968, the central office building was destroyed by fire. After several days, emergency service was provided by manual switchboards. Two weeks later on July 16th, a new building was started. The office reopened on October 26th. The new office had No. 5 Crossbar equipment. Some time prior to 1976, the 447 and 449 prefixes were added. The 447 prefix provided <EM>Centrex CO</EM> Service for the Western Electric cable plant. In 1980 the crossbar equipment was replaced with a No. 1A ESS machine. Around 1972, the Panola office was opened. The equipment was No. 5 Crossbar. This was one of the last crossbar offices installed. At this time, both ESS and crossbar offices were being built. The office had the ESS-like electronic busy signals and ringback tones. The initial code was 981. The Rockdale Center was originally built in the 1950s as a microwave repeater station. In June of 1960, the Rockdale Regional Toll Center opened. The building housed a No. 4A Crossbar Toll Switching System, which was designated as a Class 1, Regional switching facility for North America. When it was placed in service, there were only 7 such Class-1 offices in existence. The Rockdale 4A was the second such machine in Georgia. During the Cold War era, Rockdale became an important switching point for the military's Autovon system. This would have been handled by a separate switching machine, most likely a dedicated No. 5 Crossbar. The Autovon switch would have also been installed in a "hardened" (blast proof) structure. 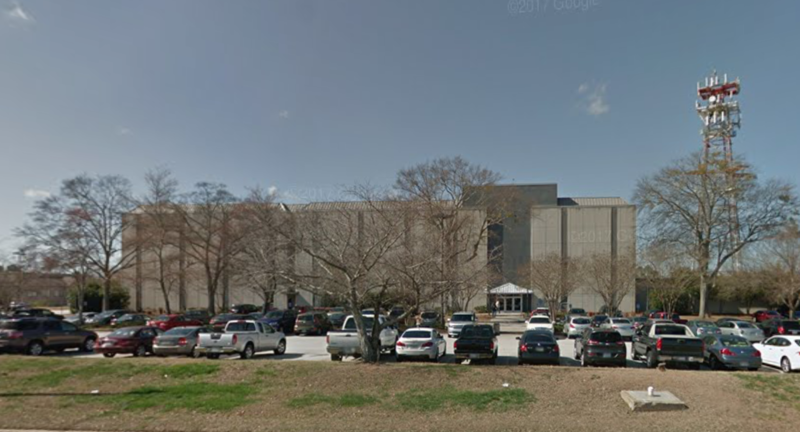 In fact, Cold War planning most likely played a major part in the decision to locate this facility here rather than in Atlanta. Rockdale is 27 miles east/southeast of Atlanta. Standard procedures at the time were to locate hardened switching facilities at least 20 miles from major cities. And Atlanta was considered a primary target. In 1970, a TSPS system was installed in the building to serve Atlanta. TSPS operator positions tied to this machine were located in remote offices in Jonesboro, Mableton, and Norcross. At this time, the hierarchical toll network was still in use and Rockdale remained a Class-1 office; one of 12 in North America. In the late 1970s, the Rockdale 4A machine may have been updated to ETS (Electronic Translator System). After divestiture in the early 1980s, AT&T abandoned the hierarchical system of routing in favor of "Dynamic Non-Hierarchial Routing", built on CCIS signaling. This was later replaced by AT&T's "Real-Time Network Routing" based on SS7. These changes made the Rockdale facility less important to the network and ultimately led to it being retired. Since 1990, Rockdale is no longer a switching facility and has become an AT&T Facility Maintenance Center. From this location, AT&T personnel monitor the operation of AT&T microwave and cable facilities for the entire Eastern United States. A second facility in Denver monitors the Western half of the country. Either facility can take over the entire country in case of an emergency. Part of the maintenance facility is the Fast Automatic Restoration system (FASTAR), which can reroute calls away from overloaded or failed sections of the network. The main control room contains a number of big-screen monitors, giving maintenance personnel a graphical view of the network. One of the center monitors is tuned to CNN to monitor for natural disasters or other news that might require action to reroute long distance traffic. The AT&T Rockdale facility is the largest employer in Rockdale County. The Roswell office opened in 1960 or before. The equipment was No. 5 Crossbar and the initial code was 993. On October 2, 1960, Roswell was added to the Atlanta metro calling area. Unlike most of the other outer offices, which used Step-by-Step equipment. To call all Atlanta metro numbers, Roswell customers only needed to dial 7-digits. By 1976, the 992 code was added. Around 1980, the office was replaced with No. 1A ESS equipment. The Snellville office opened around 1968. The equipment used was No. 5 Crossbar and the initial code was 972. This was a rather late installation of crossbar equipment just like Lilburn. The office had an electronic ESS-like ring and busy signal. The crossbar equipment was replaced in the 1980s with a No. 5 ESS switch. The Stone Mountain dial office opened some time before 1954. The equipment used was Step-by-Step and telephone numbers were probably 3 or 4 digits initially. In 1954, local service was added to Clarkston. To call Clarkston, Stone Mountain customers dialed a prefix of "9" before the number. Local service to Atlanta was also available for an extra charge and required a prefix of "7". In 1957, the telephone directory notes the prefix for calling Clarkston as "93". This is strange. This was the year that Clarkston telephone numbers went from 5-digit numbers with a first digit of "3" to 7-digit numbers beginning with "Hickory-3". The new dialing instructions would imply dialing "93" plus the new 7-digit number for a total of 9 digits. It is possible that they really meant for people to dial "93" plus the last 4 digits of the Clarkston number. To call Stone Mountain 469, Lithonia 482, or Tucker 938 numbers, dial the 7 digit number. To call all other metro numbers, dial "7" plus the number. The access code "7" sent the calls through the Decatur Crossbar Tandem. By 1976, dialing was basically unchanged except that Tucker had expanded to include 934, 938, 939, and 491 numbers. Stone Mountain customers could continue to dial 7 digits for the 93X numbers but had to dial 7+ when calling the 491 numbers. In September of 1977, all customers were cut over to a new No. 1A ESS machine. In 1997, the equipment is No. 5 ESS. The Tucker office was opened in 1962. It was a No. 5 Crossbar with the initial code 938. Southern Bell held an open house in the office to show off the equipment to local residents. The tone plant in the office made an interesting clicking sound between rings. And the alternate, backup ringing plant had higher pitched tones that were very odd sounding. In 1965, the 939 code was added and 800 Customers from the Chamblee office were moved to this office. In 1966, the dial tone was changed and Touch Tone service was added. In 1969, the 934 was added. At this point, the machine was becoming overloaded and customers were complaining about slow dial-tone. To relieve the traffic problems, the boundary of the Tucker office was reduced slightly in 1972, moving some of the customers to the Toco Hills office to be served out of the new ESS machine there. Those customers received new 325 numbers. In 1974, a No. 1A ESS machine was installed. The first code on the ESS machine was 491. The 493 code was added around 1977. Around 1980, the crossbar customers were moved to the ESS machine and the crossbar equipment was retired.